Governor Rochas Okorocha of Imo state has reacted to a comment reportedly made by the All Progressives Congress (APC) chairman, Adams Oshiomhole on his style of leadership. Oshiomhole had earlier stated that the Imo state Governor was trying to build a political dynasty in the state. He said this while reacting to Okorocha’s comment that the APC has been drawn backwards since he became chairman. Oshiomhole also said that the Imo Governor has embarrassed the ruling party in the state. According to reports, the Imo state Governor was angry that the National Working Committee (NWC) of the APC submitted the name of Senator Hope Uzodinma as the party’s governorship candidate. Okorocha had nominated his son-in-law, Uche Nwosu and anointed him as his successor. In his response, Governor Okorocha said that the realisation of Nwosu’s governorship ambition is not in the hands of the APC chairman. According to Daily Post, the Governor made this known in a statement issued to newsmen by his media aide, Sam Onwuemeodo. 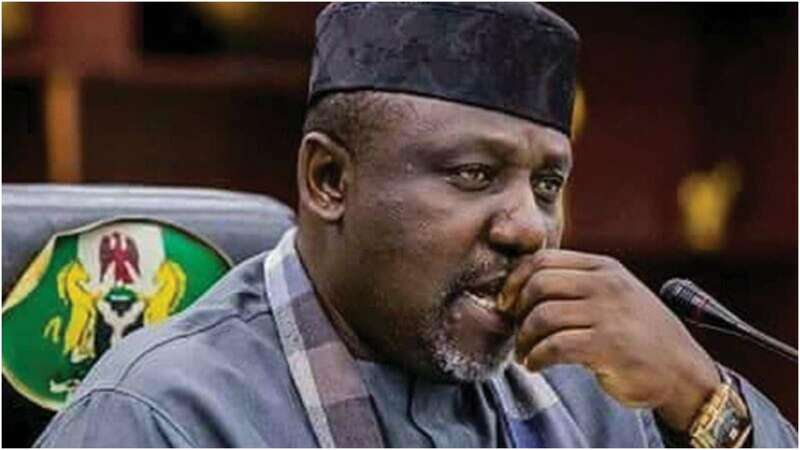 Okorocha said “With all that Adams Oshiomhole had said and done, he has only shown that he was the brain behind the film a man like Ahmed Gulak acted in Owerri as the leader of the 12-Member Committee sent to Conduct the APC Primaries in the State. “Comrade Oshiomhole in his efforts to justify all he has done, had accused Governor Rochas Okorocha of trying to build a Political dynasty. And the only reason he gave for coming up with such blackmail is that Governor Okorocha wants to go to the Senate and his in-law Uche Nwosu wants to be governor. He never explained how Okorocha being in the Senate and Nwosu being governor would Constitute a dynasty. “Uche Nwosu will not allow his ambition cut shot by deceit. He will work to revalidate his Victory in all the APC guber Primaries Conducted in the state,” Okorocha added. According to Vanguard, the APC National Working Committee (NWC) reportedly agreed to field Hope Uzodinma as the party’s governorship candidate in Imo on Wednesday, October, 31, 2018.